In 2016, we saw a series of successes in terms of conservation efforts. The decline of the population of our Irrawaddy Dolphins has been successfully halted. The births are much higher in comparison to our mortality rate. The reasons behind the deaths have been mostly natural and uncontrollable causes! Behind all of these successes are a lot of dedication and hard work. We bring to you the report of their activities for the last quarter, a brief of activities conducted between 21st September 2016 to 20th of November. In the last quarter, we noticed a 22% decline in the number of gillnets confiscated in October in comparison to September 2016, and the length of the gillnets also seemed to have decreased by 25%. In November however, we confiscated 24% more gillnets than we did in October 2016. The lengths of the ones we’d confiscated also had a 16% increase. We conducted Joint Field Monitoring trips in Stung Treng and Kratie in October. This aimed to strengthen the capacity of our river guards, to provide monthly fuel + engine oil + GPS batteries and per-diem to the river guards who patrolled in the previous month and collecting patrol reports and GPS waypoints from each outpost for producing the Enforcement Smart Report. 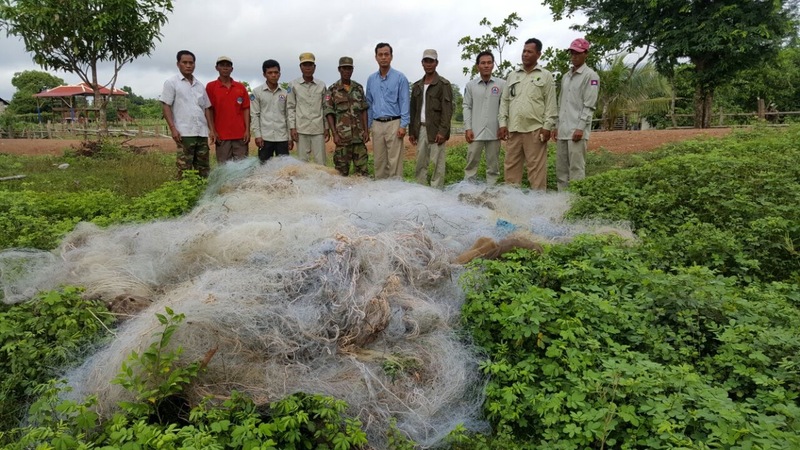 During the field trip in Stung Treng from 6th – 8th October, three sets of illegal gillnet equaled with 90 meters in length were confiscated. We disseminated the hotline numbers of WWF- MFF and Chief of river guards Kratie to local community people in November. On the 25th of November 2016. 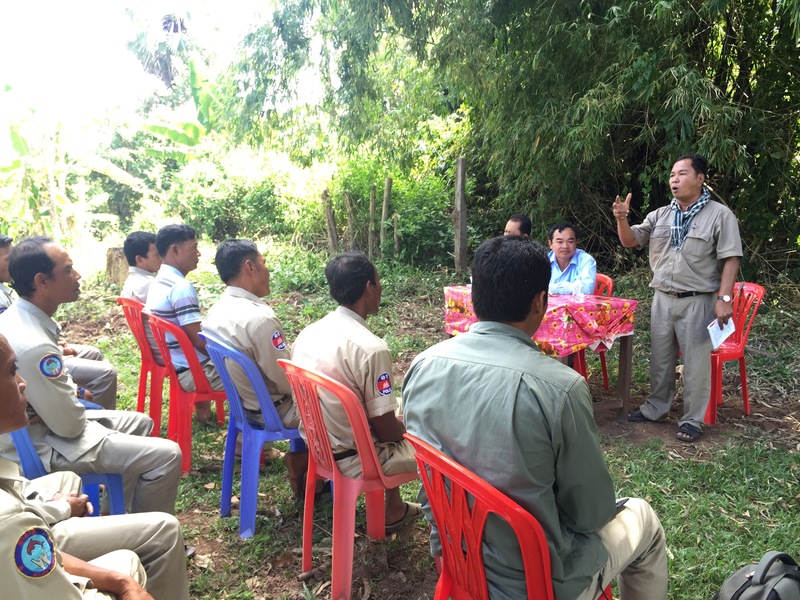 WWF in collaboration with Kratie Provincial Department of Agriculture, Forestry and Fishery (PDoAFF) and Kratie Fishery Administration Cantonment (FiAC) conducted a Law enforcement meeting at Kampi River Guards Outpost. We had 47 participants, including: The Director and offices of PDoAFF and FiAC, WWF MFF, Representative of governors from two districts, representative of commune chief from two communes, representative of village chief from five villages, representative of CFi from two CFi’s, and river guards from 8 outposts in Kratie. This meeting aimed at strengthening the Law Enforcement and improving the collaboration within relevant stakeholders and to share more information about the Mekong Dolphin Conservation Project and the progress of law enforcement activity. The river guards need a few additional new boats and other necessary equipment. The Deputy Governor Chetr Borey District appreciated the commitment of river guards to protect dolphin and other fishery resources. He encouraged them to work harder in order to respond to the illegal fishing information received from public. Director of PoDAFF highly appreciated the results of the project as presented by provincial chief of river guards and WWF. He thanked WWF for always providing technical and financial assistance to this project. And encouraged the stakeholders to be as involved with the WWF project as possible. He suggested that WWF should continue to providing awareness activities and alternative livelihood to community people. Furthermore, he is going to propose to Royal Government to increase the financial support on fishery sector since 2017. After the meeting 86 sets of confiscated illegal gillnet equaled to 4,350m long were burnt at the Kampi outpost. Released one endangered fish (Trey Trosok) into the nature after it was caught by fisheman. Action plan for the time period from July to December 2016 has been effectively used to guide conservation effort of the river guards. With this effort, a number of illegal gillnets and other illegal fishing practices were confiscated and cracked down. 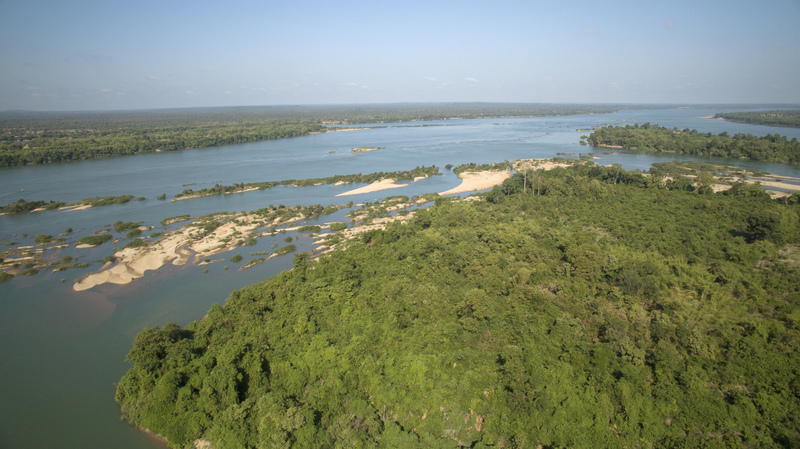 There have been monthly Joint Field Monitoring Trips by the WWF law enforcement officer and Field Coordinator with the FiA Provincial Chiefs of the river guards. This helps strengthen them, stay in touch and guide the staff. Our efforts have shown results as the drastic decline of the population has been halted, a balance between birth and death rates was established. Following which, the population has slowly shown signs of increasing, for the first time in decades. 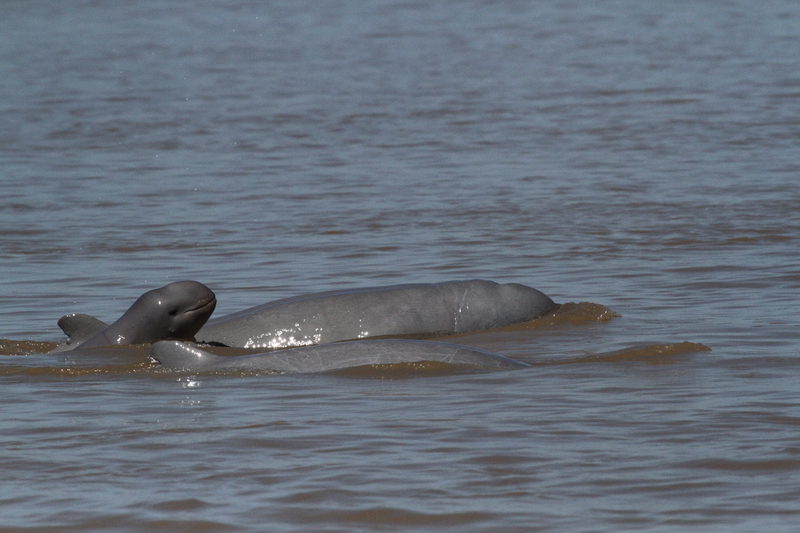 The decline of the population of our Irrawaddy Dolphins has been successfully halted. Our efforts have shown results as the drastic decline of the population has been halted, a balance between birth and death rates was established.